How do you manage the various platforms you have in your IT environment? The reality is, the lack of commonalities across Microsoft, Google and Apple’s ecosystems, coupled with the unique and frequent upgrade cycles, means there is no one-size-fits-all approach to device management. 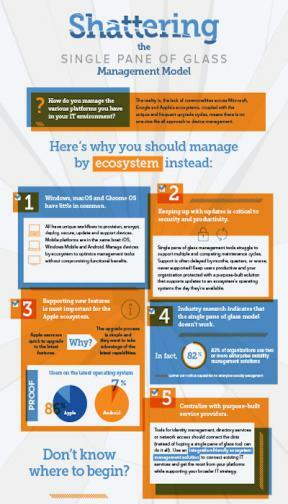 Download this infographic to discover five reasons why you should manage by ecosystem instead.